Sometimes it amazes me how deceiving a photograph can be. 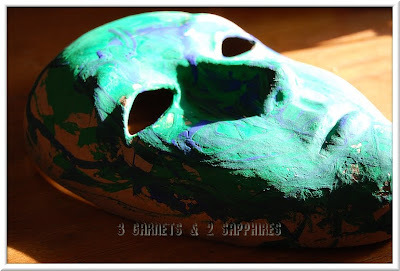 For example, this photograph looks somewhat serious, but it is actually a mask painted by our 4 year old son. It's been staring at me for a whole week patiently waiting for me to find the perfect place to hang it up.